Sort of. 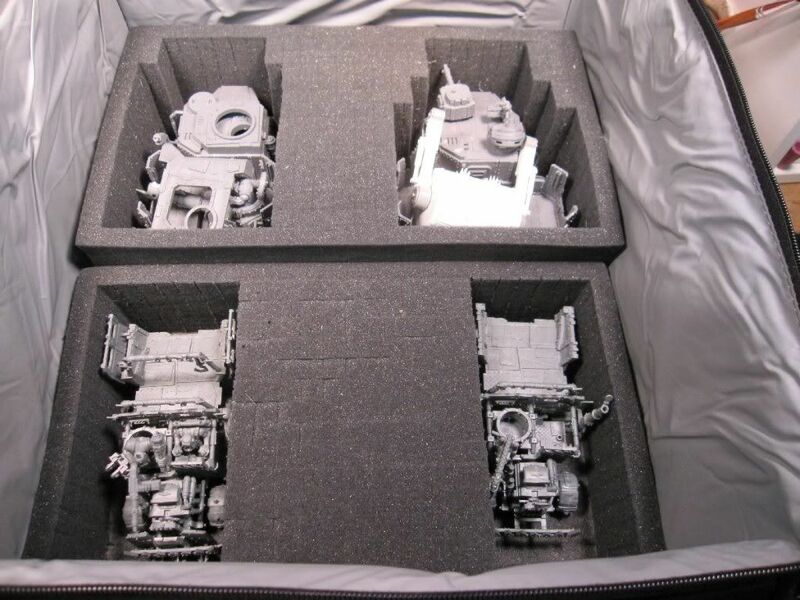 I was at my LGS today and found two kits that I had to have for helping convert ork vehicles. 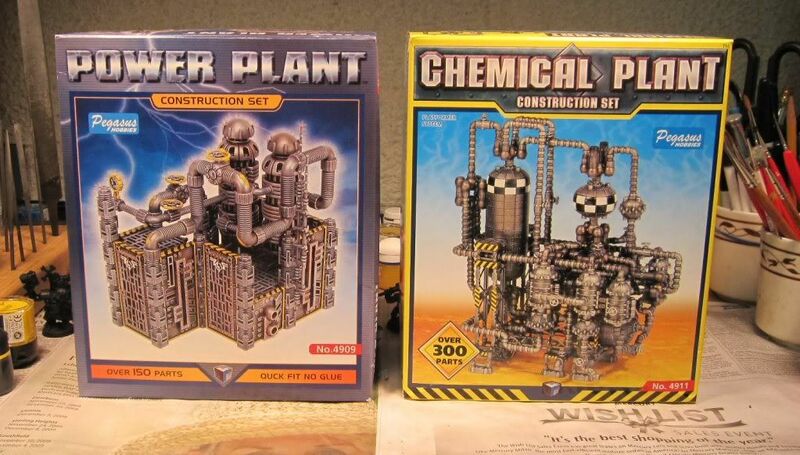 I had seen the chemical plant before because I have seen some ork conversions that used it. I plan to use most of these kits for my Skullahamma that I am planning on building this year. 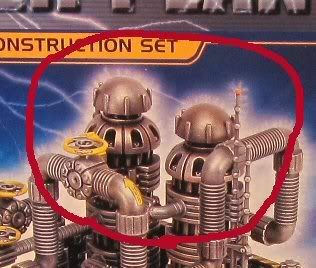 I have been looking for something to use to represent the Force Fields on my Big Mek Stompa and these will be perfect, once I orkify them a bit. 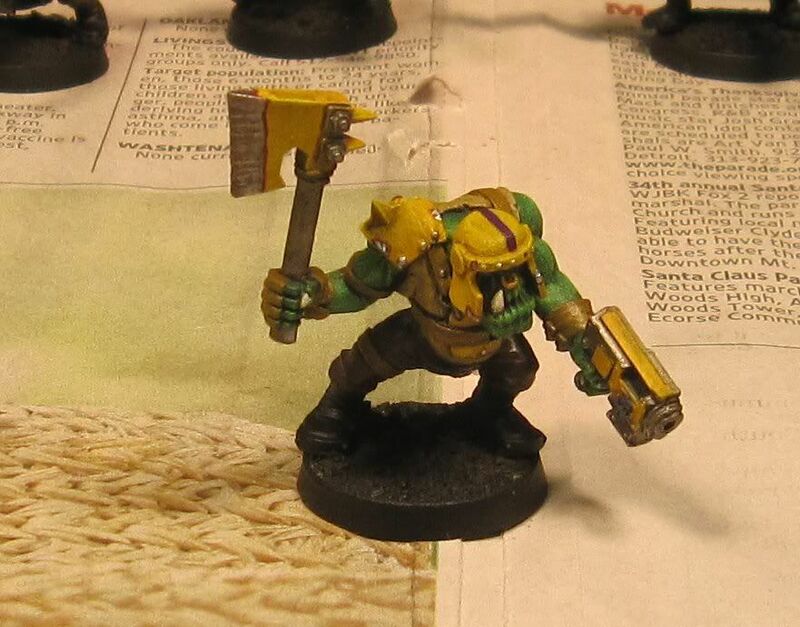 Its going to be a good year for the orks. The clerk at the LGS was concerned about these kits because the plastic is dyed silver and was questioning its ability to hold paint. I have seen others use them so I am not too concerned about it. Has anyone used these kits before and had a problem painting it? Since I am experimenting with Devlan Mud for the first time, I decided to finish one boy first as a test model instead of doing them all. Although I still need to paint his base, I think he turned out good. I like the way the yellow armor turned out. 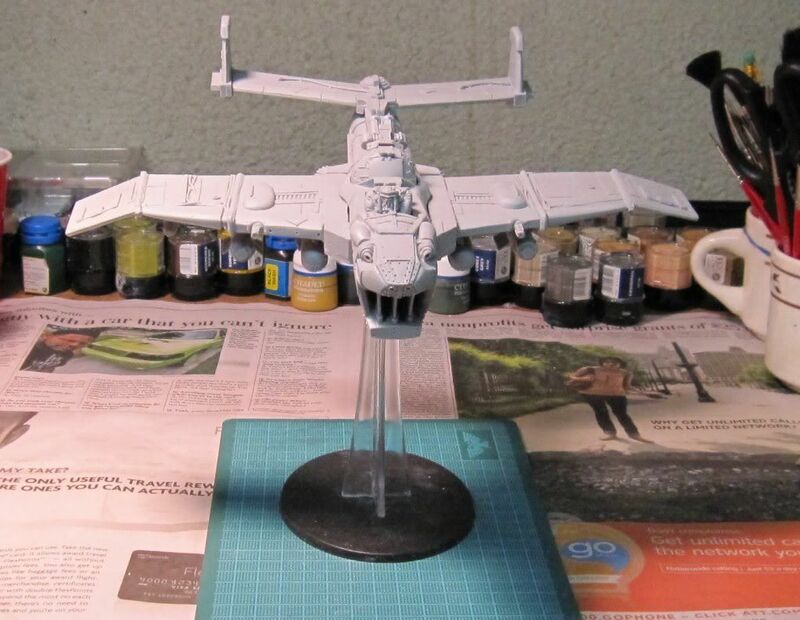 I started by painting it with Iyanden Darksun, then with Golden Yellow. Then I washed it with Devlan Mud. After the wash dried, I overbrushed the armor with more Golden Yellow, then drybrushed with Sunburst Yellow. This highlights the edges nicely. The chips in the armor were painted first with Dark Flesh. Next, I painted Chainmail on the Dark Flesh areas making sure to leave some Dark Flesh visible around the edges. This technique will come in handy when I start painting my vehicles. The purple stripe on the helmet identifies which unit he belongs to. Off to finish the other four boyz. I have been working on painting up my first slugga boyz. 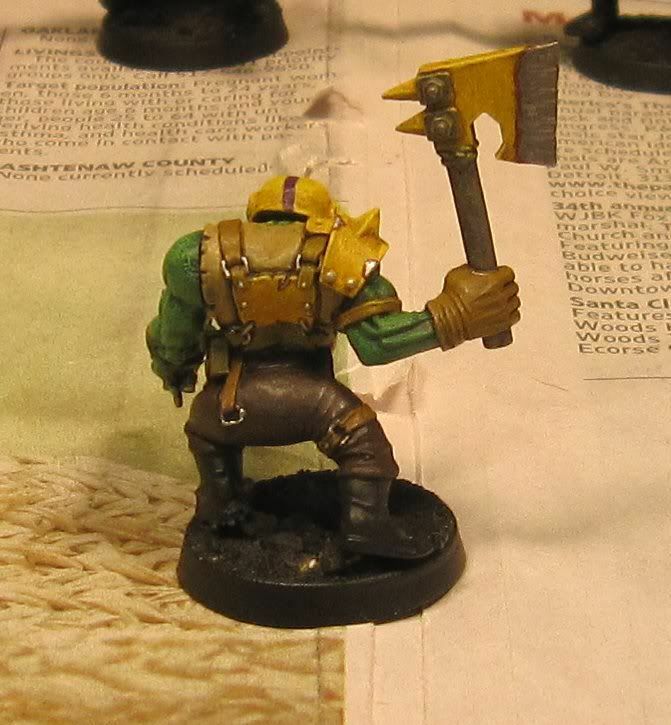 I have come up with a color scheme that I like for my orks' skin. It is a pretty standard scheme from what I have researched on the web. I start with a black primed model and paint the skin using the Orkhide Shade foundation paint. I follow that up with a straight coat of Snot Green, followed by a highlight of Goblin Green. For the extreme highlight, I use a 50/50 mix of Goblin Green and Bleached Bone. It is the same technique I used on my Warboss and it brings out the details nicely. For the Bad Moon clothes, I used Scorched Brown highlighted with Bestial Brown, then a light extreme highlight of Snakebite Leather. For the shirts, I used Desert Yellow and highlighted it with Bleached Bone. I plan to wash the models with Devlan Mud. This will be my first attempt using it. I used to wash my models with Chestnut Wash to make them look dirty, but people tell me I really need to try the Devlan Mud. 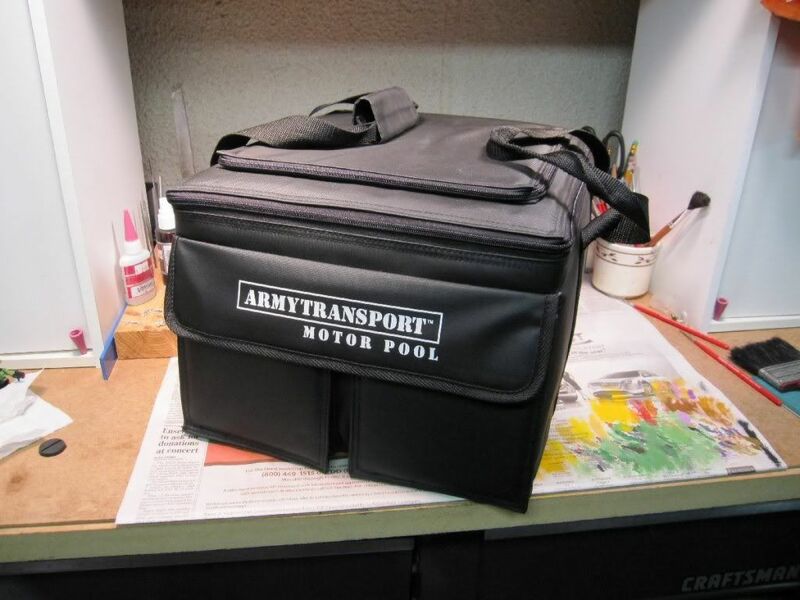 I got myself a new transport case for my ork vehicles this weekend, the Army Transport Motor Pool. This is my first Sabol case and they are pretty popular in my local gaming club. 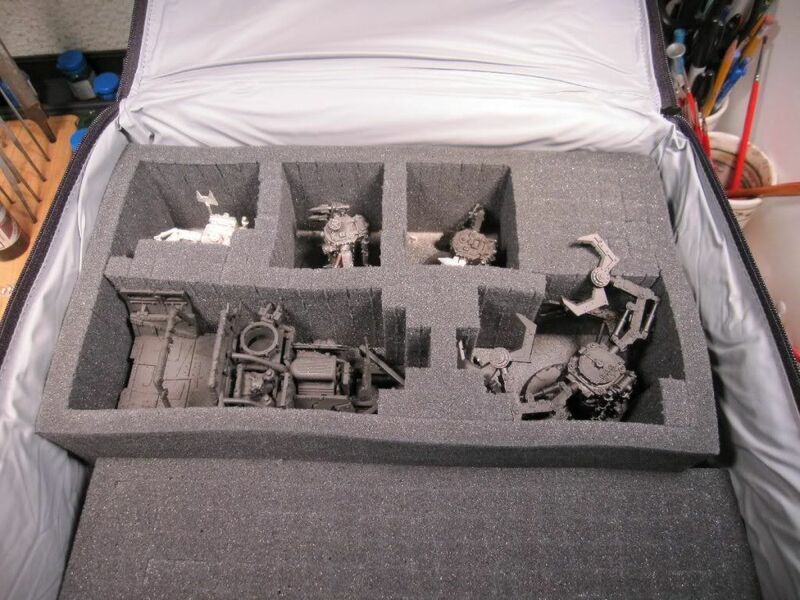 Before this, I had been transporting my ork vehicles loose in a cardboard box which would occasionally damage them. Now that I am starting to paint my ork army, I wanted to make sure they were protected. I really like this case and I would recommend it to anyone with lots of vehicles. It comes with one 4 inch, one 3 inch, two 2.5 inch, and one 1 inch trays. I used the 4 inch tray for my two battlewagons and I will be able to fit three trukks in the 3 inch tray. In the other 3 inch tray, I was able to fit my trukk with the cow catcher, three killer kans, and a deff dread. I used the 1 inch tray for 32 grots. I plan to use one of the 2.5 inch trays will be for my biker boyz. It should be able to hold nine bikers. 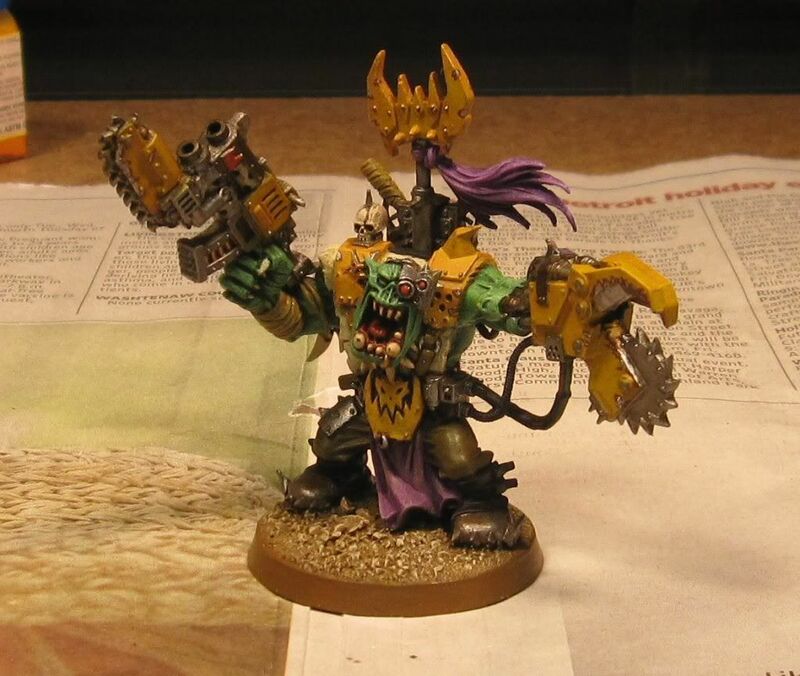 I have completed my ork warboss. I think he turned out nice. Next I am going to start painting my slugga boyz. 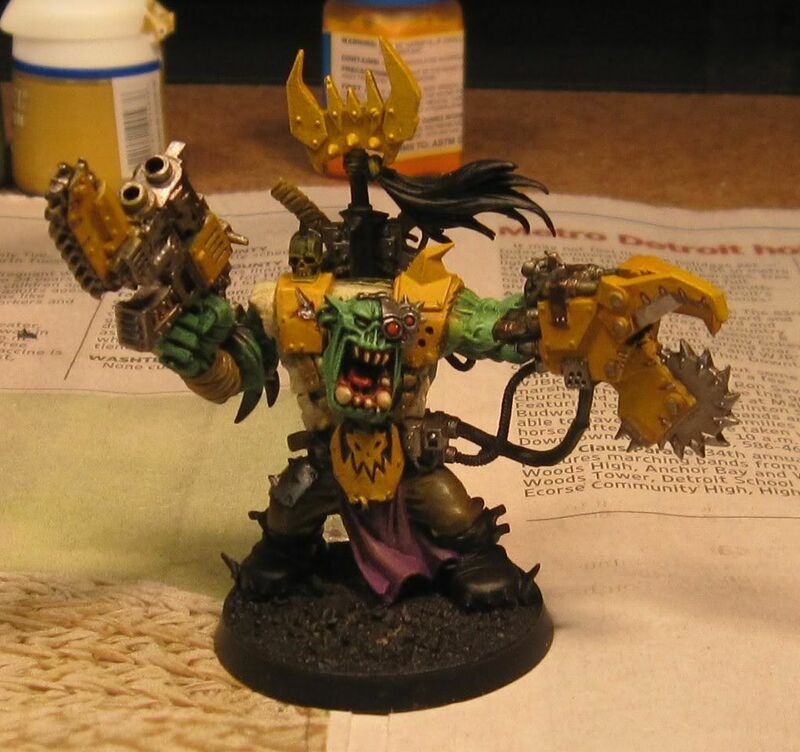 Not much to report this week other than I have made progress on painting my Ork Warboss. He is not done yet, but hope to finish him up in a couple more days. Due to the Holidays, a pretty nasty sinus infection that took me out for a good week around Christmas, and the God Of War Collection for the PS3, I have not gotten anything done for a few weeks. Now that the Holidays are over and I am healthy again, I am looking forward to getting back to the norm and getting some stuff done, if I can pull myself away from GoW that is. 1. OF Fortress of Redemption: This is ready for priming but unfortunately I have no place big enough to prime this during the wintertime, so unless I can find someone who can prime it for me, it will have to wait until Spring. 2. Tyranids: Not having much luck getting enough people to do a Tale of Four Gamers, therefore I am going to hold off on doing anything with them for now and save them for a future ToFGs. 3. Orks: Almost all of my 2010 Painting Resolutions focus on this army, so I am getting geared up to get going on them. Just need to choose a clan. I am painting a test boy in Bad Moon colors to see how he turns out. Happy New Year to all! It just wouldn't be New Years without some kind of resolution, so I am going to make some painting resolutions in hopes of getting my favorite army, Orks, painted. It is currently entirely unpainted, so there is lots to do. The 40kFightClub is running a Painting Challenge contest. Rules are simple, choose an army and paint one minimum-sized unit from the specified FOC slot each month (Full details can be found here). The schedule is below and I will fill in my chosen unit at the beginning of each month. Just in case the first resolution does not result in a full 2000 points, my second resolution is to make sure I have a fully painted 2000 point army (not including APOC units). 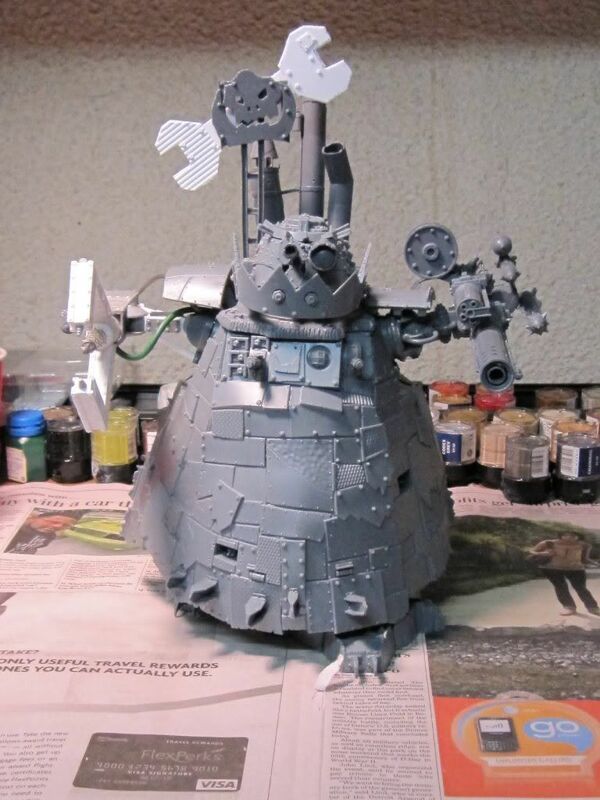 My Big Mek Stompa is mostly built, just need some final details and then painting. I have a Stompa that is mostly built and needs painting. I already have a Baneblade kit that I have been sitting on in hopes of building a Skullhamma. Time to start building it. 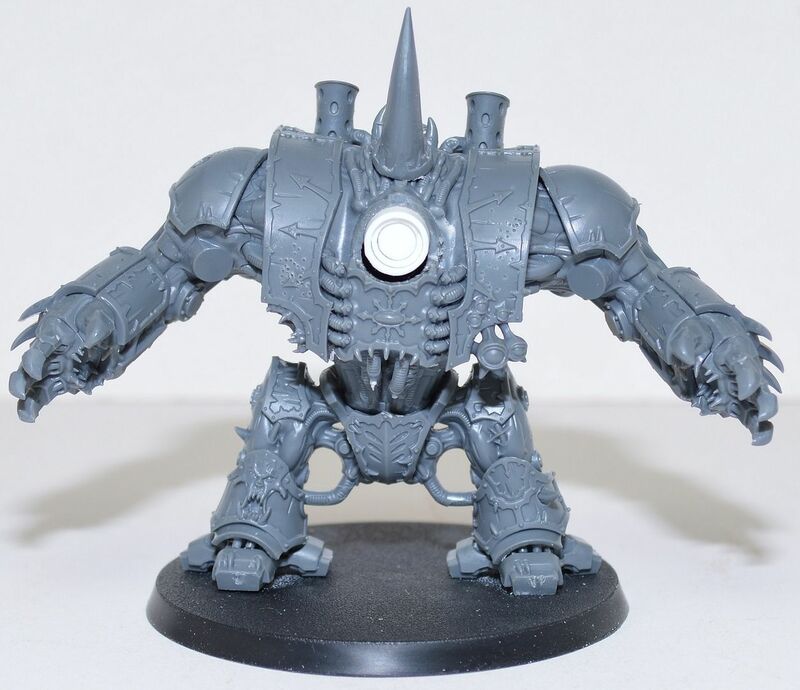 My Fighta-bomma is already assembled, just need to paint it. If I get this all done, I will have a nice looking Ork army.